Using vignettes set in or near his monastery in downtown Newark, New Jersey, Benedictine monk Albert Holtz helps us to see that the Easter mystery, which can often seem abstract and distant, is in fact present all around us. 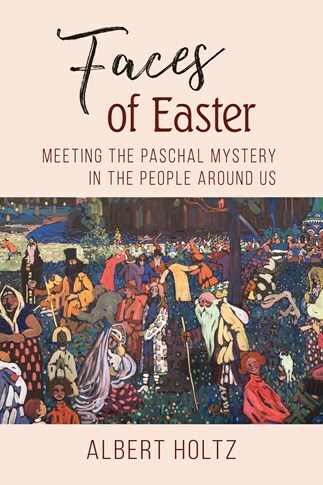 As we accompany him through the fifty days of the Easter season, we listen in on his intriguing interactions with local street people and his inner-city high school students-an insider's look at what goes on in a monk's heart as he chants Vespers to the sound of police sirens. Anyone wishing to deepen his or her experience of the Easter mystery will find this a valuable and engaging book. Albert Holtz, OSB, is a monk of Newark Abbey in Newark, New Jersey, where he is the director of formation and teaches New Testament in the monastery's inner-city prep school. His frequent long walks on the streets of downtown Newark have made him familiar with the people and the scenes of his native city. He gives retreats to monasteries of men and women around the United States and has published several books of meditations, including Pilgrim Road: A Benedictine Journey Through Lent and From Holidays to Holy Days: A Benedictine Journey Through Advent and Christmas. "In these insightful and engaging stories, Fr. Holtz introduces us to an unforgettable cast of characters—some old friends, some chance encounters—who help him understand the many dimensions of the Easter mystery. He also encourages us to see in the faces of the people in our own lives an illumination not only of the mysteries of suffering and loss, but also of spiritual connection, redemption, and hope. What a timely gift this book is." "Fr. Albert Holtz's reflections on Faces of Easter reminds us both of the homeliness and of the mystery of Easter. The many vignettes of his neighbors invite us readers to look for Christ in our own homes and neighbors. Yet each of his offerings are open-ended, requiring us to look deeper, lectio-style, into the moments of every day, willing to be surprised and welcomed by the risen Christ known by faith and encountered anew here and now. Fr. Albert is willing to share his own vulnerability and growing edges, which in turn encourages us to accept our own." "The Easter celebration does not end with Easter Sunday. Holtz leads us gracefully through the whole season. His deceptively simple book is truly a nourishing companion for all of it. The meditations for each day are based on the author's experience and lifelong wisdom. The reader is drawn to mine the insights of his or her own stories to discover God's hand there, too. A lifelong alleluia!" "Fr. Albert Holtz is a good companion to have on this daily walk through the Easter season. As he shares the events in his life we learn to open our eyes to the surprises we might walk past without seeing them. He shines the light of Easter into the drama of the inner city and often, because he is open and hopeful, see it shining back."